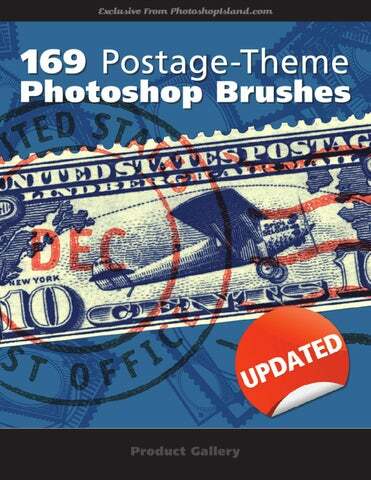 About The Brushes 169 Postage-Theme Photoshop Brushes Vol. 1.1 Get into postage and mail delivery in a creative way! 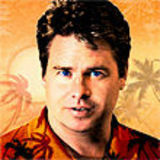 Use your imagination to generate endless postage-theme designs. A quick and easy way to give your creative work a polished look. Every graphic designer, hobbyist or scrapbooker should consider owning this brush set. Thousands of uses! Great for modern, vintage and retro designs. NEW IN Vol. 1.1: 68 new variations on brushes included in Vol. 1.0. These 68 brushes have a special SECRET formula texture that give the appearance of a inked rubber stamp. This adds a realistic and vintage look that’s easy to apply! NEW with Vol. 1.1 - realistic texture brushes! Postage stamp boarders work great for colleges. Use postage to celebrate travel or events. There are tons of holiday options for stamps and cancellations. Great for backgrounds or realistic illustrations. 169 options to enhance your designs!